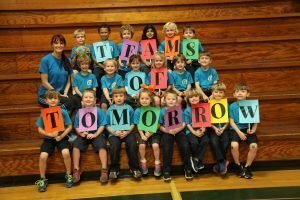 Teams of Tomorrow takes pride in offering the most unique extracurricular program available for preschoolers ages 3-5. 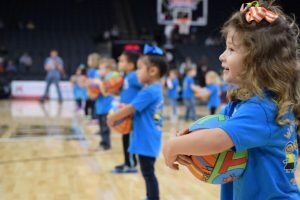 While the majority of children’s franchises focus on one area of development, Teams of Tomorrow, also known as TOT, offers the benefit of 3 programs in 1! 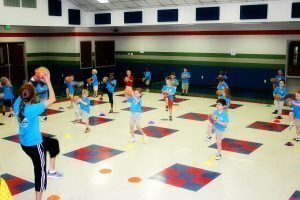 TOT focuses on athletics, academics & agility. TOT was developed by educators based on brain research as well as research on the benefits of learning through music & movement. This research, coupled with successful pilot programs implementing those findings, have resulted in what TOT believes is the most beneficial educational, extracurricular offering available to the preschool age child! TOT’s mission is to enhance the lives of children, families & communities and currently there are more than 70 franchise locations in the US adding value to the lives of those in their communities! TOT’s unique Pay from Profit model allows franchise owners to own a business while paying for it from their profits, not from seeking high interest loans or taking money from 401Ks or savings accounts! For less than $2,000 in out of pocket expenses, qualified candidates will be enabled to build a business that not only allows you to meet your career, lifestyle & financial goals, but also adds value to the lives of others. TOT’s Pay from Profit model allows franchise owners the opportunity to invest in their business in a unique way! This model is even more appealing when coupled with the fact that there is no storefront building/expenses required. TOT franchise owners operate out of home offices while TOT classes are conducted on site at preschools, daycares, Mother’s Day Out facilities, Montessori schools, private schools & more! While the majority of TOT franchise owners have stepped out of the classrooms as teachers, not all franchise owners have a background in education. TOT franchise owners range from backgrounds in nursing, sales & marketing, human resources, retail businesses, stay at home moms & more! To be a TOT franchise owner all you need is a heart for others and the willingness to learn. TOT will train you in everything else that you need to be successful! Interpersonal skills:Energetic individuals with strong interpersonal and communication skills that enjoy networking with others. A genuine love for children & others: Experience managing children and/or the ability to hire people with this experience. Solid work ethic & integrity:Has a drive to succeed and are doers, not just dreamers. Has an understanding of the importance of doing what you say because you say so. Adaptability: Has the ability to adapt to situations which enables you to respond willingly to the demands of the moment even if they pull you away from your plans. "I love the enthusiasm all the employees at TOT National have for TOT. I also love all of the beautiful marketing materials provided by TOT." "100%Committed to families, children, staff, and all of WE employees...FUN organized & structure CHAOS that is TOTALLY purposeful...100% committed to the next generation to MOVE and be successful...they take this HUGE responsibility SERIOUSLY! I love them personally and professionally...AVAILABLE, LOYAL and TRUE to me and each other!" "I am so appreciative of the timely support we receive when we have questions or problems. The franchisor is always so patient and quick to respond with answers. It genuinely feels as if they care about our success." "I believe they have our best interest at heart. They have always been there to answer any questions I might have and have set me up for success." "I like that TOT National is easily accessible and responds to questions and concerns quickly. They provide more than enough training and materials for me and my employees." "I love that the business is run by family and that they believe in the program! I was very inspired by the the story of how TOT was formed and that the family is still working together to continue Kim's dream. I feel the curriculum in strong and well thought out." "Real, down to earth people who care! The marketing and training is excellent. Always available to help when needed." 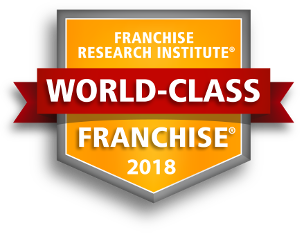 "What I've liked most about my franchisor, is that they are willing to help and are quick to respond with emails or phone calls. We do conferences often and I feel that there is a enough information within those conferences to be helpful. I also like that they break down the biggest parts of the business or events and give you many options to work with as well as show you what has been the most helpful in the past!"